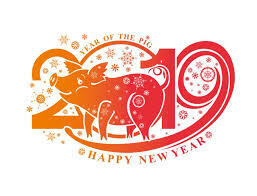 Come celebrate the Year of the Pig! This event is for GEA employees only. Tickets must be purchased in advance. GEA Employees are invited to a Lunar New Year Celebration Luncheon at GE Appliance Park Monogram Hall on Friday, February 8, 2019 at 11:30 am. Join us for good food and Asian entertainment! Proceeds will go to Asia Institute-Crane House to help support their mission of sharing Asian arts, history, and culture with the Kentuckiana area. Tickets are $8.00 (+ KY state sales tax) and must be purchased in advance. This luncheon is for GEA employees only.